nine days before labor day with the set time put up last week. either on Sunday or during the week. and i see you later. 10pm Spectral Sound: James T.
It the week after Labor day, so as for New movie not that much, unless you are going to watch Disaster Movie which got 0% rating in rottentomatto rating, Ouch. 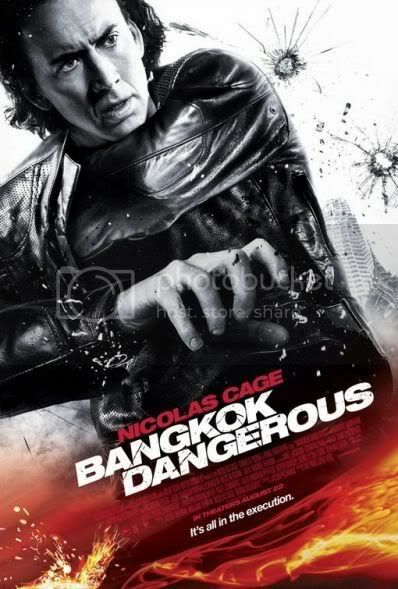 A hit man (Nicolas Cage) who is in Bangkok to pull off a series of jobs falls for a local woman and bonds with his errand boy. A train journey from China to Moscow becomes a thrilling chase of deception and murder when an American couple encounters a mysterious pair of fellow travelers. Brad Pitt, George Clooney and John Malkovich star in the Coen Brothers' comedy about a CIA disc that falls in the wrong hands. Robert De Niro and Al Pacino team up as a pair of veteran New York City police detectives on the trail of a vigilante serial killer. Two families--one upper-crust and the other working class-- are linked by scandal that threatens to unravel the lives of all involved. Meg Ryan is a career woman who seems to be living the perfect life, until she discovers that her husband is cheating on her. "IT O.K. TO COME BACK TO PLAY DOWNTOWN AGING"
Michigan Gov. Jennifer Granholm yesterday. - Resign as the Mayor A.S.A.P. - turn over his state pension to the city of Detroit. "I lied under oath in the case of Gary Brown in a civil deposition regarding information of claims I mislead and impeded justice. I also lied under oath at a civil deposition on Oct. 11, 2004 in the Harold Nelthrope lawsuit,"
investigator who was trying to serve a subpoena on the mayor's friend, Bobby Ferguson. He Will be is scheduled for October 28th. and Cockrel, who as council president becomes mayor. executive protection unit for the new mayor. from the DPD after 31 years on the force. Now according his bio he played for "the Readies"
7:30 p.m.: Trombone Shorty & Orleans Ave.
Suzi talks to Sam Moore - a soul legend who, as part of the duo Sam & Dave, sang on some of the most exciting records of the sixties. Their hits include You Don't Know Like I Know, Hold On! I'm Comin, Soul Man, I Thank You …and one of Suzi's favourite ballads of all time When Something Is Wrong With My Baby. Those singles had an impeccable soul pedigree. They were recorded at Stax in Memphis, were written by Isaac Hayes and David Porter and played by Booker T & The MGs. However, as Sam reveals in this interview, the duo had a troubled relationship. Ronnie Spector explores the rise, fall and enduring influence of doo-wop. In 1973 John Peel’s producer invited The Who’s madcap drummer Keith Moon to present some shows while Peelie was taking a rare holiday. Keith rose to the challenge and introduced some of his favourite records punctuated by comedy sketches. As Stevie Wonder embarks on a UK tour, there’s a chance to hear Stuart Grundy's 1977 series celebrating his music (first broadcast on Radio 1). 15. The Dead Bodies – Shelby Twp. of the Reading and Leeds Festival.